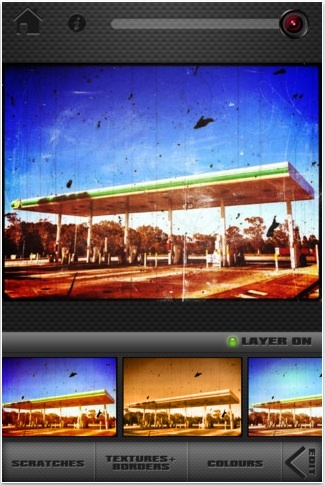 I mentioned in an earlier post how I will age iPhone photos using PictureShow (The fun of film toy cameras on the iPhone). The effect is actually a grouping of many effects to get the final result. If you want to jump straight to a variety of worn film/paper effects, this weekend’s special for ScratchCam FX is good timing. 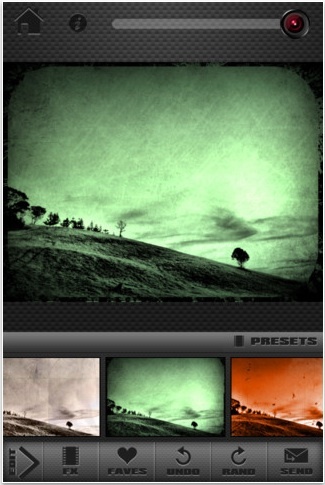 ScratchCam FX does more than age your iPhone photos. There is more to a old picture in a drawer than roughing up the image so the app offers several worn effects, each adjustable to get the aged effect your looking for.